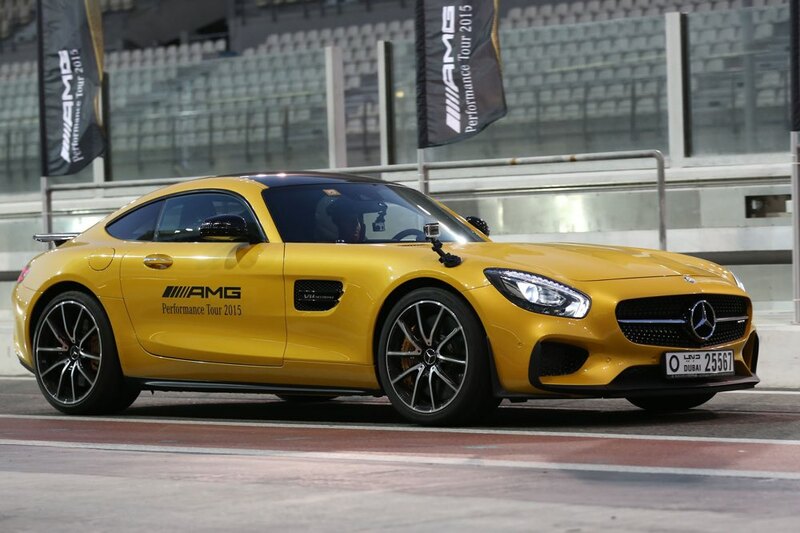 This year’s event saw an impressive line up of 13 AMG models, with the highlight being the launch of the all-new Mercedes AMG- GT S and C 63 AMG Sedan. With safety being key, the day revved into action with a fairly straightforward accelerate and stop test involving the ML 63 AMG, the G 63 AMG and the very luxurious S 63 AMG Sedan. Next came the track challenge. I jumped into the C 63 AMG Coupe – 507 Edition which is, sadly, the last of AMG’s naturally aspirated V8 engines; its focus has now shifted to slightly lighter, more economical “turbo charged” engines. The 6.3 Litre V8 engine is an absolute masterpiece and as the “507 Edition” badge suggests, produces 507bhp and a phenomenal amount of noise. Unfortunately, in keeping with the event’s safety rules, we were not allowed to switch the traction control off, preventing me from having even more fun. Next up was the CLS 63 AMG. Yes, it was fast and sounded great, but it felt big, heavy and a bit sluggish in the corners. Not really my cup of tea. 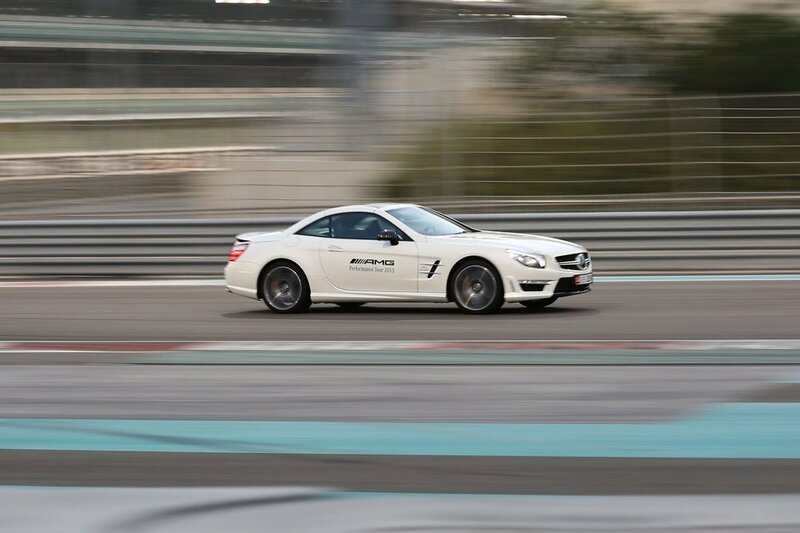 Next up was the SL 63 AMG. And it was brilliant. Despite also being on the big and heavy side, it handled amazingly well. Thanks to the Twin Turbo Charged 5.5 Litre V8 and its short wheelbase, you could still get it sideways, to some degree, with the traction control still on. 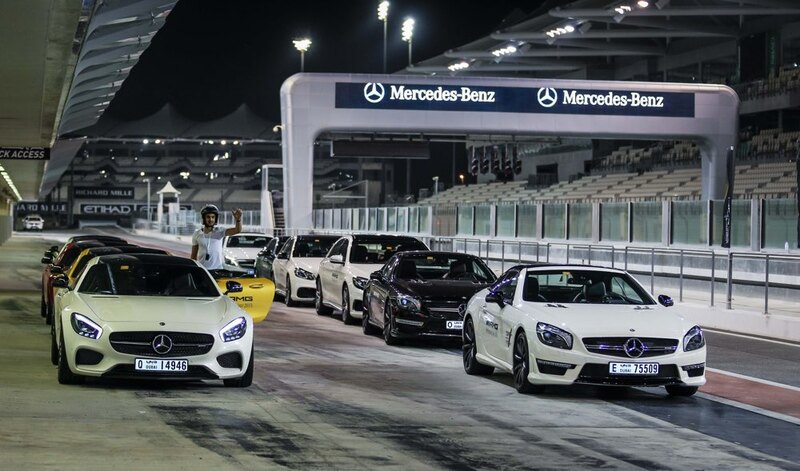 Our third session was a short exercise on a cordoned off section of the track that saw us drive the A 45 AMG, CLA 45 AMG and, my personal favourite, the C 63 AMG Coupe – 507 Edition through a series of cones placed to resemble a tight handling course. And then came the new Mercedes AMG – GT S.
With its twin turbocharged 4.0 Litre V8 engine producing 510bhp, not only is it a very fast sports car that can go up to 100 km/h in 3.8 seconds, it is also stunning to look at. The cabin boasts typical Mercedes refinement, with high quality material all around. My only complaint with this car’s interior is that the gear lever was way back in the centre console, so much so that I felt I had to reach backwards to select gears. Not allowed to set the car in race mode, I selected the “Sports+” mode, turned exhaust flaps button on, and off I went with that deep roaring V8 engine and loud pops and crackles from the exhaust as I lifted off, the throttle resonating in my ears. With the electronic driver aids on, the GT S is an “easy” and forgiving sports car to drive at high speeds, with good feel and feedback from the speed-sensitive steering wheel, big responsive breaks and an abundance of traction to keep you from getting in trouble. I did, however, manage to kick its tail out a few times. Mercedes has got this one right; the GT S is indeed something special. Seductive and powerful, I can’t wait until we meet again. Next Post Dubai World Cup: Twenty Years And Racing Ahead!